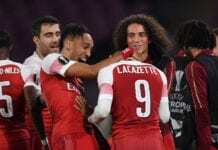 Sporting CP’s coach Tiago Fernandes has praised his side’s discipline as they claimed a very unusual Europa League clean sheet away from home at the Emirates against Arsenal to elevate their chances of reaching the knockout stage. Sporting CP managed not to concede in a Europa League away clash for the first time since September 2011, ending the run of 18 games with Thursday’s goalless draw at the Emirates stadium. Although majority of the game was one-sided and Sporting CP seemed to be under pressure from Arsenal, Sporting maintained discipline and Fernandes was delighted with his side’s display. “The players did exactly what I told them to do. 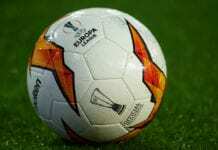 In our game plan we know we had to be rigorous and they were almost perfect on that,” Fernandes said via FourFourTwo. Sporting CP defender Sebastian Coates was also delighted with the result against Arsenal. Arsenal and Sporting top group E with ten and seven points respectively while Qarabag and Vorskla sit at the bottom of the table with three points each.